The downloadable file is an Adobe PDF file. If you can’t view it, you may need to download and install Adobe Reader, which is available on the Adobe website. Thank you so much for this information. It is nice to know that a business is providing these instructions. It's a great customer service gesture! 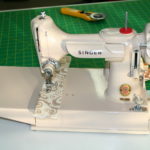 Although I live in N. California, I will come to you for all of my future sewing needs. Thanks again! Thank you so much for this manual! 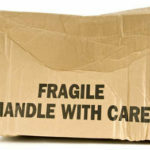 Since my move, almost everything I have is in storage. 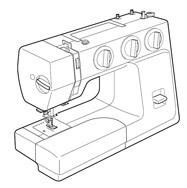 I found the machine, but no instructions, and since I am just a casual sewer, I didn't even remember how to thread it. I've got a pile of mending that will probably take me all weekend. I'm trying to find what size bobbin this machine takes. I got this model as a birthday gift from my aunt so that I can start making costumes for myself and my friends but it was missing a bobbin when I got it. I tried all the bobbins that my Walmart carries and they do not fit. Can anyone help me out? 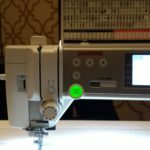 Almost all Janome machines take the same size bobbin. Just call us sometime. 951-694-9576. Thank you for posting this manual free of charge. I have moved so many times recently that finding anything is next to impossible. 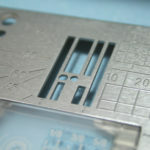 Unfortunately, I had the clear acrylic extension table but it got cracked in the many moves. 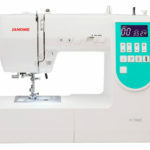 I have at least 4 full-size sewing machines and also have 10 of the mini machines that I was going to sell at Christmas time. Unfortunately, they are in storage right now and I can't get at them because I want to price the electrical cords for them, and if not one-piece, the foot control. 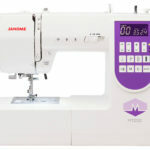 I found a brand new Janome QS2250 for sale. 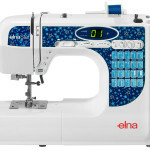 I was wondering if anyone knew the price of these sewing machines, so I can determine weather or not the price is fair? Thanks!